A ray of hope has been given to almost 380 workers facing the Axe at one of Leicester’s biggest factories. 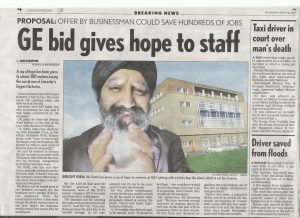 Vic Sethi says he has put forward a bid to buy the landmark GE Lighting plant and save most of the jobs, backed by Leicester East MP Keith Vaz. GE bosses blamed the plant closure on over seas competition and high production costs, Mr Sethi who has run electronics manufacturing firms for over 20 years says ” I think I can run the company more efficiently, I can show them where the cost saving can take place”. Mr Sethi’s proposal was sent to GE Consumer and Industrial in Budapest, and the proposal was being looked into by the company. 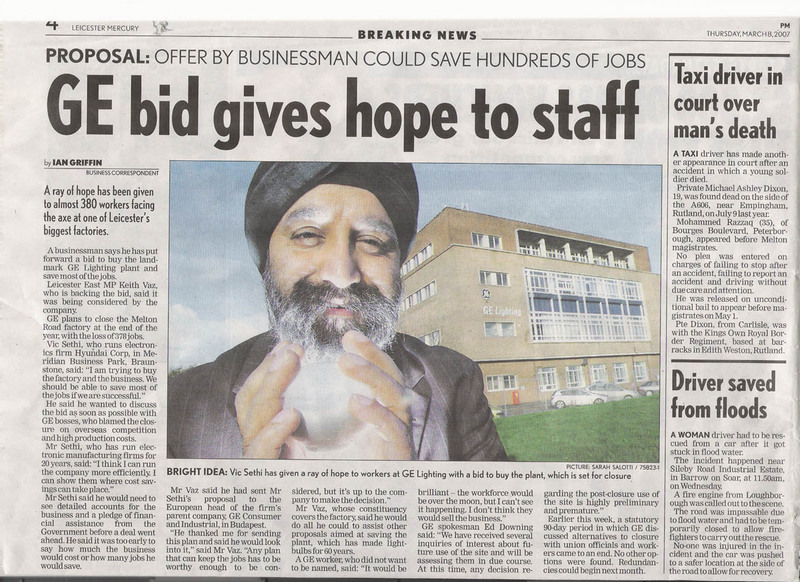 Vic Sethi could help save 378 Jobs should the proposal be accepted by GE.